It’s summer! That means plentiful produce, lighter meals, and less cooking. I’m sure, you, like me, change your eating habits in the summer, if for no other reason than it’s too hot in the kitchen to cook. Most folks move it outside to the BBQ, or experiment with non-cooked dinners, like salads. But salads can be boring too, especially if you fall back to the same items all the time. Instead, prowl the Farmer’s Markets and choose items that you might not normally pick, and integrate them into your salads for some new kick. Another way of un-borifing your salads is to use new dressings. 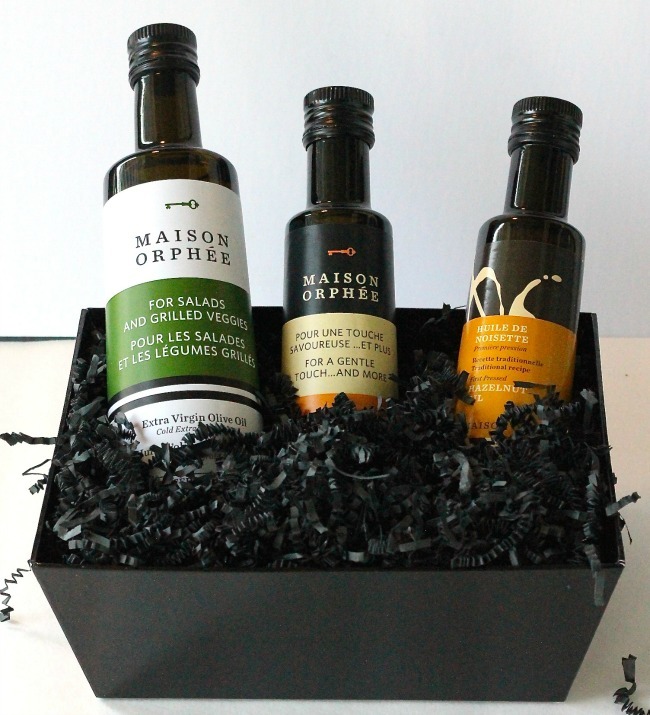 Maison Orphée, a Canadian-owned company specializing in gourmet ingredients like olive oils, vinegars and salts, recently released a new app that is going to make your summer so much easier! In it, there are over 100 combinations of vinaigrettes and marinades for all your summer salad and BBQing needs. Here’s a basic vinaigrette that I really like from their app; it’s the hazelnut oil that really takes it to the next level, giving it a roasted, nutty flavour. This vinaigrette does double duty; you can put it on a salad, or you can toss it with pasta and roasted veggies for a simple, quick dinner. You could even make this into a pasta salad, by using rotini or penne or macaroni, cooking it, and then cooling it in the fridge. Add your veggies, dress, and voila! 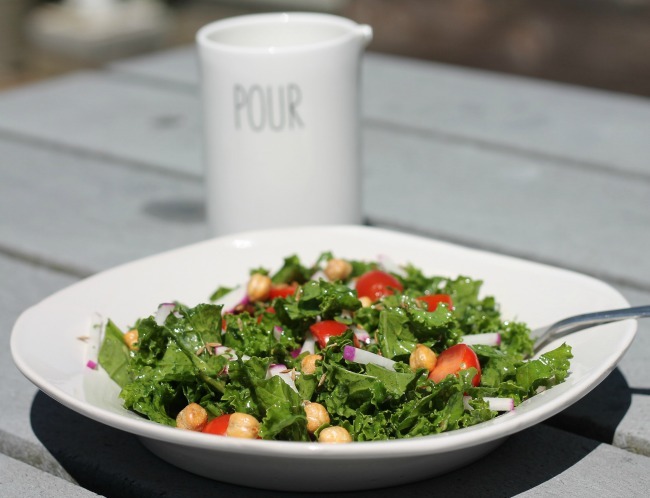 Kale with grape tomatoes, radishes, roasted chickpeas, and Hazelnut and Fennel Vinaigrette. Place all ingredients in a mason jar, screw the cap on, and shake well.